Steve is the founder and President of Alamo Steam Team. 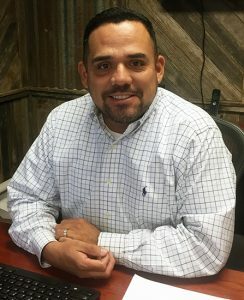 He started the company as a spin-off of his commercial building maintenance business, Alamo Building Maintenance. Before starting his own business in 2011, he worked as a Purchasing and Facilities Manager for over 15 years. He brings a wealth of experience in building maintenance, as well as, general business negotiation skills. Steve is an avid fisherman who also loves hunting and trying to break 90 on the golf course. He is married to Laura and has a step-daughter in college as well as 2 dogs – a miniature dachshund and a German shorthaired pointer. 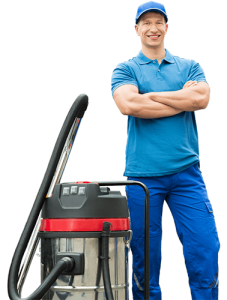 Call us today to schedule your cleaning! 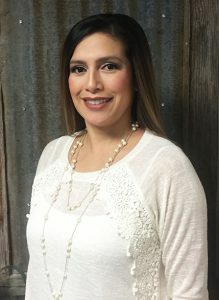 Laura serves as the Office Manager for Alamo Steam Team and Alamo Building Maintenance and is the happy voice on the other end of your phone call. She keeps the staff organized and moving. Her responsibilities include financial management functions, including invoicing, accounts receivables and payables. She also handles scheduling, purchasing, and human resource management. Before joining the team, Laura worked as a legal secretary. She has over 20 years of administrative and bookkeeping experience. Laura enjoys fishing and hanging out at the coast, where she hopes to retire one day. She has a daughter in college who enjoys the outdoors. Steve and Laura are both residents of Schertz, Texas and attend Good Shepherd Catholic Church. 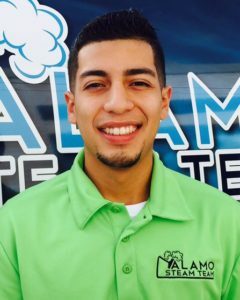 Joe has been with Alamo Steam Team since 2013 and is our senior in-home service expert. 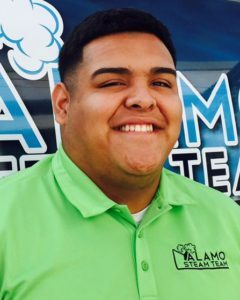 When he came to Alamo Steam Team, Joe brought a passion for customer service that he learned through several years of retail sales experience. He is currently finishing up his B.S. in Business Management and holds many IICRC certifications including CCT (Carpet Cleaning), UFT (Upholstery and Fabric Cleaning), CRRT (Carpet Repair and Reinstallation), CRT (Color Repair) and (SMT) Stone, Masonry and Tile Cleaning. In his spare time, Joe enjoys working out and reading a new book. Josh has been with Alamo Steam Team for several years, and holds CCT (Carpet Cleaning), UFT (Upholstery and Fabric Cleaning) and SMTC (Stone, Masonry and Tile Cleaning) certifications from the IICRC. He is currently majoring in business management at San Antonio College. Having previously been a cashier at HEB, Josh brings several years of customer service experience to our team. Josh enjoys playing basketball, watching sports and playing Texas Hold’em.